Four years ago, many of my beloved university cohorts and I debated lists of the most attractive men in American and British literature. The conversations were intense and being the intelligent, humble ladies we are we, of course, thought our lists were far superior. 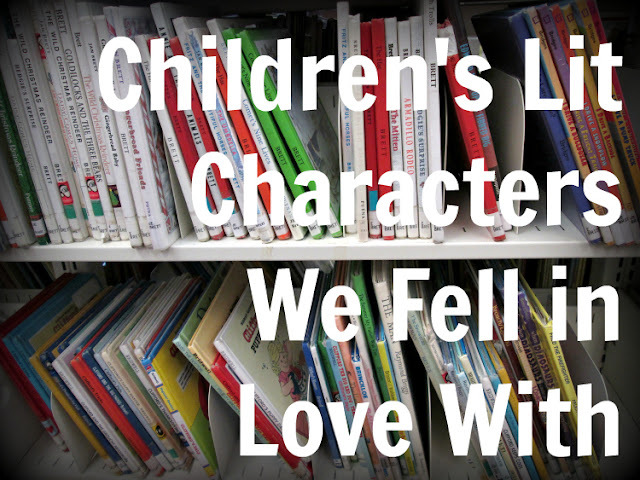 Last week, we picked up the conversation again, this time debating a recent list of what your first fictional literary crush says about you. Once again, we were shocked and disappointed by both the brevity (only 10 mentions) and vast oversights of the list. If we're supposed to be listing off our first fictional literary crushes, then unless (as the list presupposes) we were reading young adult and adult literature while still in early elementary school, wearing oversized t-shirts, scrunchies, and brightly colored leggings while playing with troll dolls at recess (oops, sorry, that last part was probably just me), then the list totally misses the mark. I would hope that the first literary characters we loved were from books we read as children because this means we were reading (or being read to) as kids. Our love evolved and changed as we grew and moved from children's books to young adult novels and swoon-worthy adult figures (thank you, Jane Austen and the Bronte sisters, amiright? ), but they were not our first literary loves. Who else is missing from the list? How is it possible that the first list and our counter-discussion left of Laurie?!?! An important addition. Well corrected, J. I think you've hit on something here, which is the weird wording of the "first literary crush" perspective. I'm not sure I'd have gone the path you did but I think it's a legitimate, interesting approach. I know, Laurie! I love that book. Thanks for reading and sharing your thoughts, Sarah!